You are here: Home / Celebrity Photos / Taylor Swift Has Some Fun In The Sun In Maui With The Ladies Of Haim! – Pics Here! 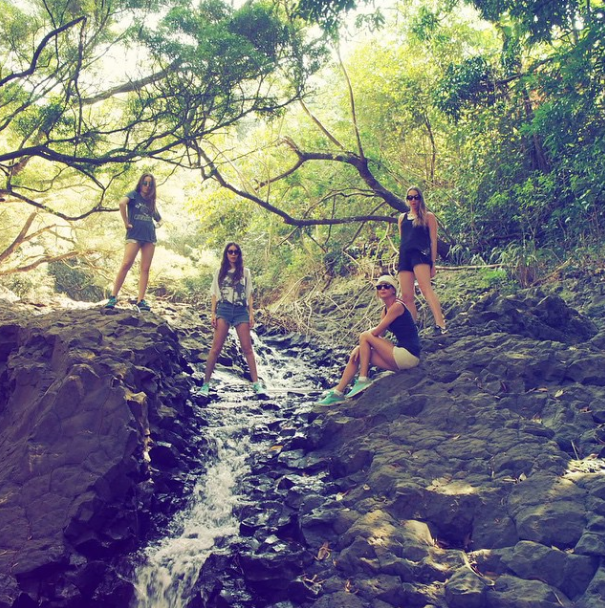 Taylor Swift Has Some Fun In The Sun In Maui With The Ladies Of Haim! – Pics Here! Taylor Swift is taking a break from the cold weather of the East Coast this weekend as she has some fun in the sun with the ladies of Haim The Band. All four girls spent time soaking up the sun on a boat, hiking and just being together. Be sure to check out more pics of Taylor from her amazing vacation in the gallery below! « Fifth Harmony Gets Fun And Silly During Their Dance Rehearsal In New ‘Fifth Harmony Takeover’ – Watch!